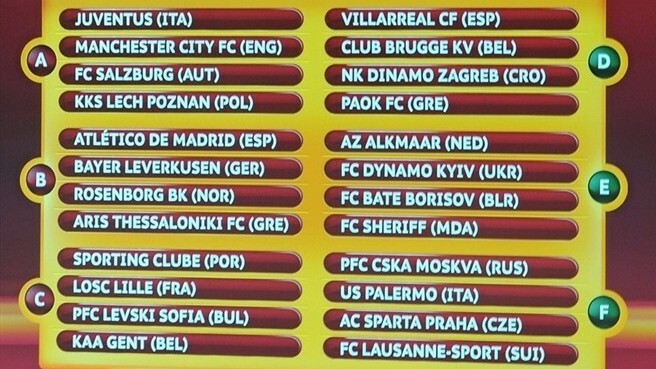 City were drawn into Group A, along with Juventus, Red Bull Salzburg, and Lech Poznań. Somehow I missed the draw this morning. I guess I thought it was at noon ET like the Champions League draw. In any case, initially I was surprised that City would be paired with another of the favorites to win the competition. It turns out City were in Pot 2 for the draw — and nearly in Pot 3. This is because the seeding is done using UEFA’s club coefficients, and City rank 55th in Europe right now. In fact, the only thing keeping City from dopping to a lower pot is making the UEFA Cup quarterfinal two seasons ago. With both Juve and City in the group, it’s definitely the glamour group, if such a thing is possible in the Europa League. Then again, it honestly might be a better group than Group H of the Champions League this season: Arsenal, Shakhtar Donestk, Braga, and Partizan. Like the Champions League group stage, the top two sides in each group progress. Unlike the Champions League, however, where you know the winner of one group will face second place from another group in the knockout stages, the Europa League does a fresh draw for the beginning of the knockout stage. The reason for this is simple: eight third-place sides from the Champions League group stages (Spurs, this means you.) will be joining the Europa League at that point. It should be a great atmosphere at Eastlands when the Old Lady comes to town on September 30. Then Mario Balotelli gets to enjoy another round of racial abuse from those enlightened Juventus supporters on the final match day on December 16. Playing in Poland isn’t going to be a picnic, but with Juve a shell of their former selves, this is a group City should win. Hopefully DirecTV has the same excellent Europa League package they did last season. City now joins Bayern Munich in the “see if they can do as well as Fulham” Cup fun. I’ll bet Wayne Rooney’s jealous that the other Manc side gets the Old Lady. I meant that City is facing a Fulham opponent from last year, much like Bayern drew Roma and Basel in group play, but when your mercenaries make it to the Cup final after knocking out four major sides, you can scoff at Fulham’s accomplishments.